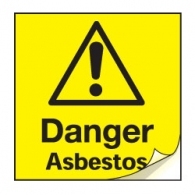 Once considered a versatile building product the health risks of asbestos are now widely known. Asbestos is present in a surprisingly high number of buildings. Many are not aware that asbestos cement was in still in widespread use up until 1999. The Health and Safety Executive (HSE) has stated that asbestos is the greatest single cause of work deaths in the UK. Asbestos removal requires specialist expertise and equipment and we can arrange this for you and at a good price. The HSE is quick to prosecute if the risks of asbestos are not dealt with properly so pick up the phone and let us help.